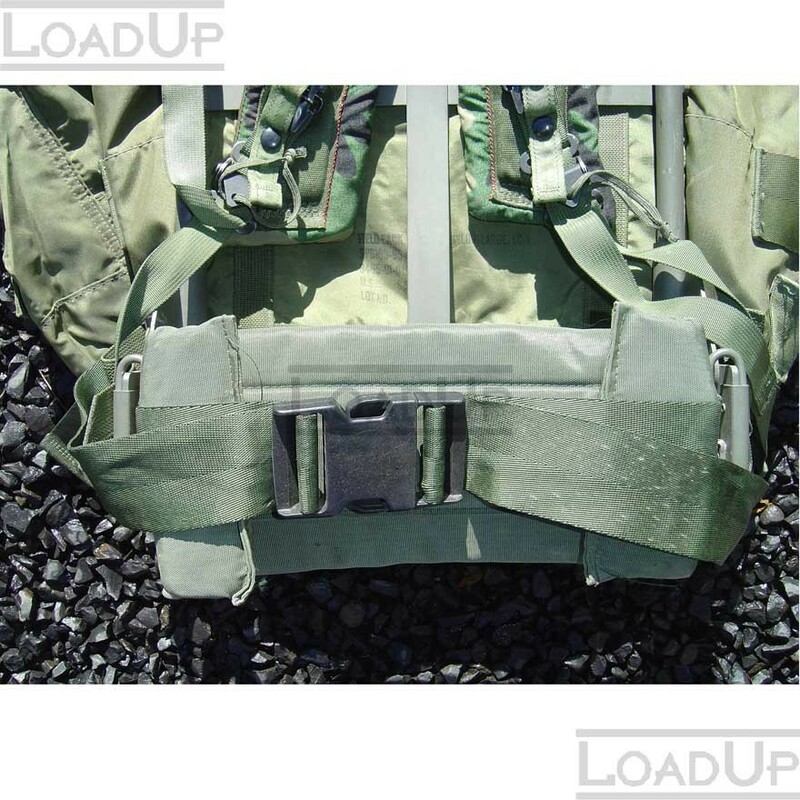 Includes: Pack and frame, Enhanced Alice shoulder straps, Kidney pad and belt. No holes, rips, or tears. Snaps are in working order. They will show signs of wear, but still have plenty of life left in them. The deficiencies will not affect the intended use of the pack. 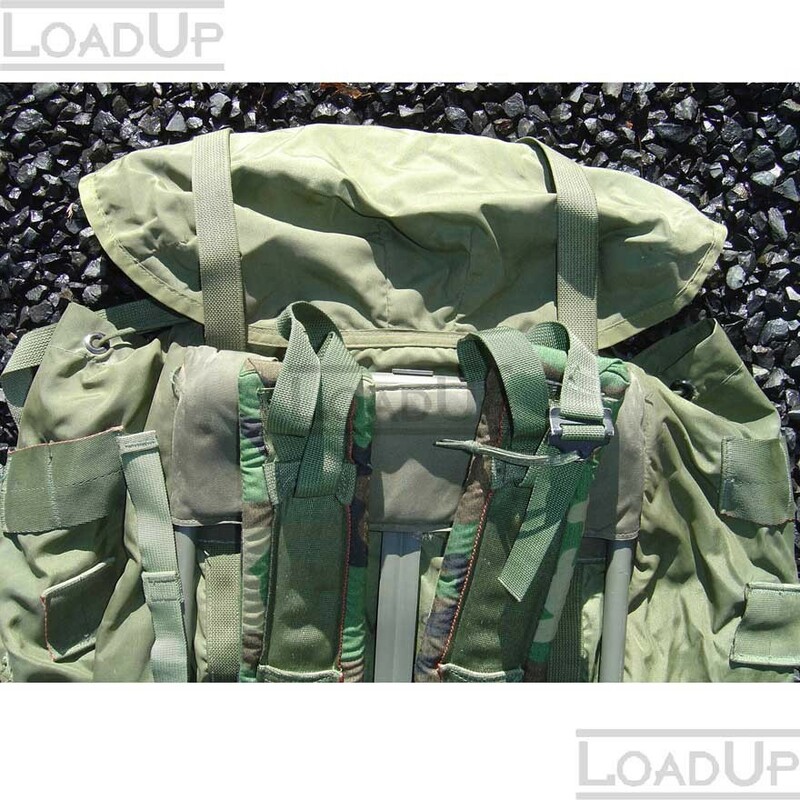 ALICE (All-purpose Lightweight Individual Carrying Equipment) is an ideal camping companion! 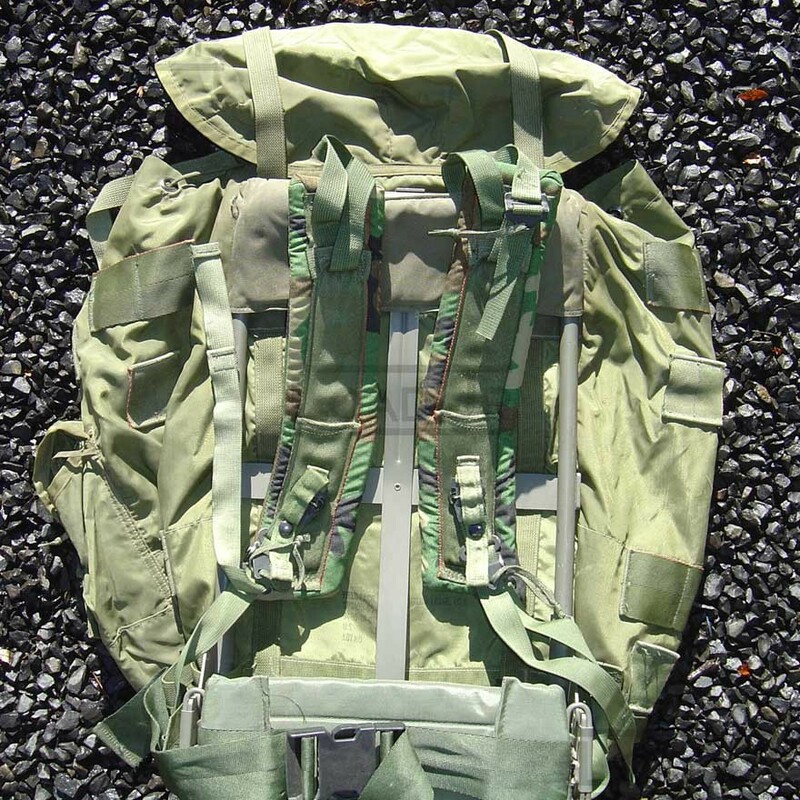 This is the metal frame Pack the boys in Olive Drab have relied on for decades. 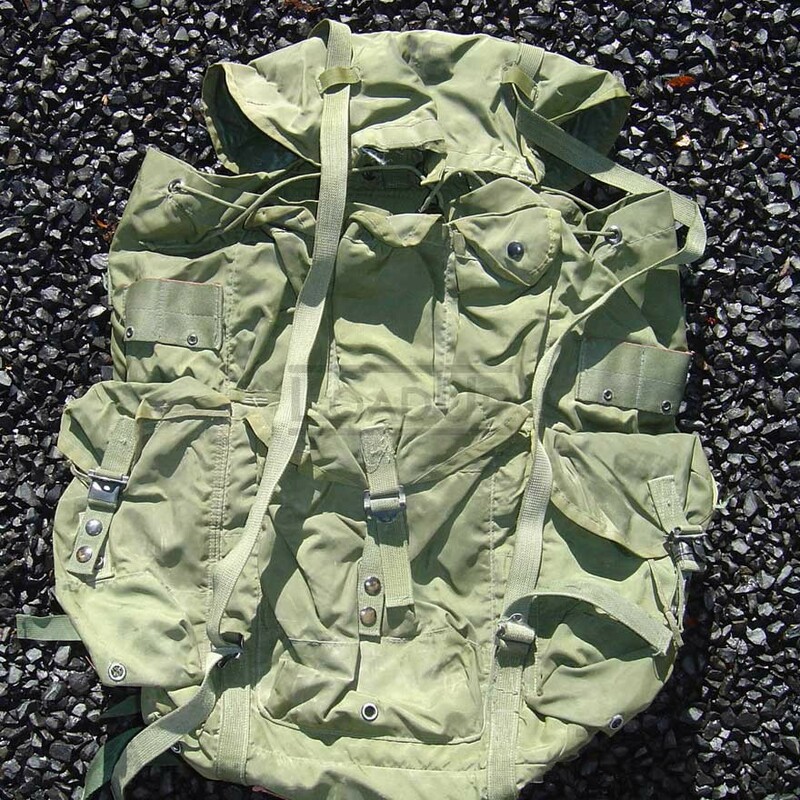 This "Large" version of the pack has one large adjustable pouch inside the main pack and six ouside pouches with doulbe snap adjustable closures. Take ALICE along on your next journey... you'll be glad you did!